Republican state Sen. Marianne Moore, of Calais, speaks at a press conference promoting a bill that would allow some terminally-ill patients to request life-ending medication. For the third time in four years, Maine lawmakers will consider a bill that would allow some terminally ill patients to request life-ending medication. The initiative is described by supporters as “death with dignity” and by opponents as “assisted suicide,” and it has divided health care professionals and state lawmakers in the past. But if the new bill fails, Maine voters could be asked to decide the issue. Sen. Marianne Moore, R-Calais, once worked as a cancer patient navigator. But she said the experience that would shape her views on what’s sometimes called “aid in dying” came after her father was diagnosed with inoperable colon cancer in 1993. She said although he declined chemotherapy, the cancer went into remission. But after four years, it returned, sweeping through his body and putting him in hospice and on morphine. By the end, Moore said she became convinced that, if given the chance, her father would have made the choice afforded to terminally ill patients in six other states: to end his life with medication. Moore shared her story during a news conference Monday that is certain to bring forth dozens more on an issue so personal and polarizing that even its description can shape opinions. Moore and other supporters call it “death with dignity.” Opponents call it physician-assisted suicide, a pejorative designed to reflect what they believe is an act that can be abused by insurance companies or doctors, or that is simply against their religious beliefs. That was the position taken by Rep. Sheldon Hanington, R-Lincoln, two years ago when he testified against a similar proposal because it reminded him of his own father’s battle with the cancer that took his life. These shared experiences with death have not done much to ease the intense division over bills aimed at granting patients the right to end their lives. The 2017 hearing drew testimony from more than 100 people and organizations who offered views that cut across political parties. Even health care professionals were divided. The American Nurses Association opposed the bill because it said that assisting in euthanasia is a direct violation of the nurses’ code of ethics. The proposal, like its predecessors, is modeled after a 1997 Oregon law, the first of its kind. Five other states — including Vermont and Washington — have adopted similar statutes. The opposition isn’t always philosophical or based on religious beliefs. Two years ago, Disability Rights Maine openly worried that an aid-in-dying law could affect patients with disabilities because they’re not always informed of medical decisions made on their behalf. Other opponents argued that it could be manipulated by insurance companies or those who exploit and abuse the elderly. But Rep. Patricia Hymanson, D-York, a physician and co-chair of the Legislature’s Health and Human Services Committee, said the new bill is narrowly tailored and would require consent from patients deemed cognitively competent by doctors. And she believes it has public support, citing a poll taken two years ago, when the last bill failed to emerge from a Legislature in which power was divided. Hymanson said polling showed that three of four Maine voters supported the measure. The debate could continue well beyond Wednesday’s public hearing before the Health and Human Services Committee. 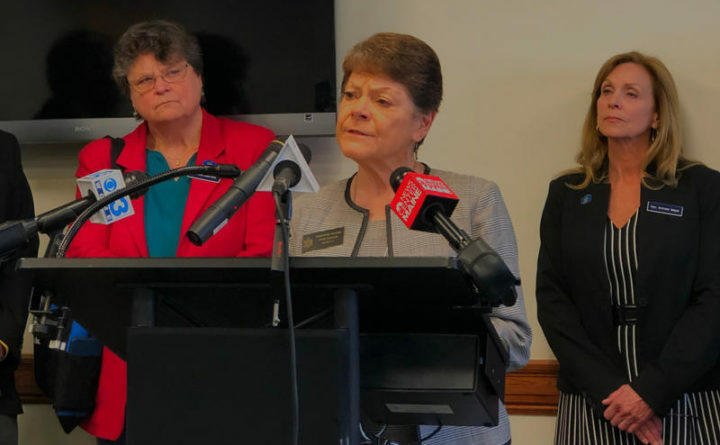 The Maine Death with Dignity group has already organized a ballot initiative that could put the issue directly to voters, an avenue taken by half of the states that have already adopted such laws.